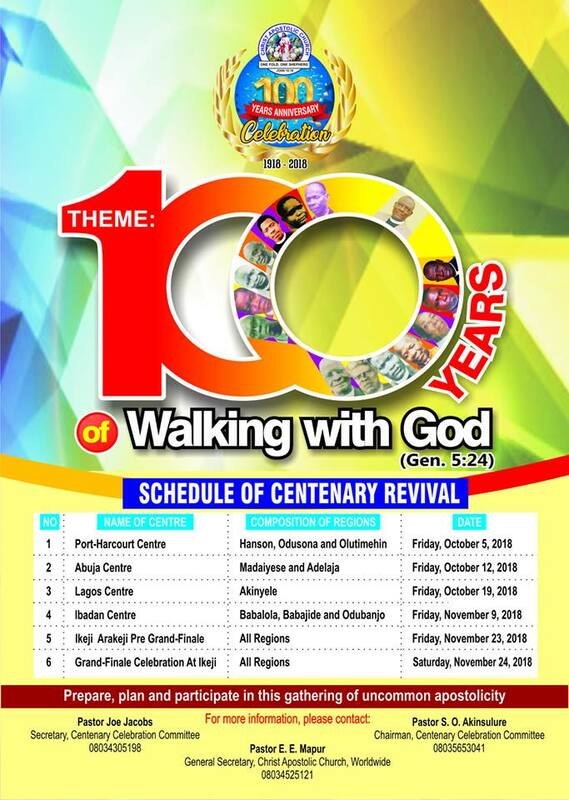 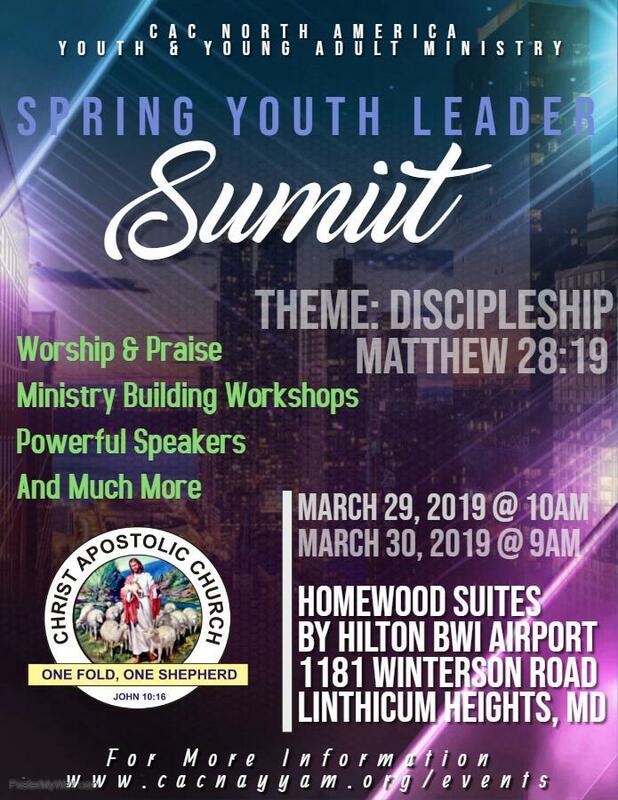 Christ Apostolic Church North America Youth and Adult Ministry is set to hold her Spring Youth Leaders' Summit. 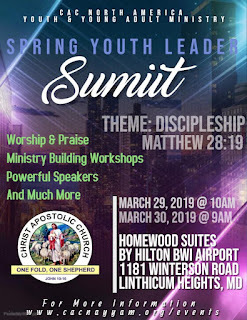 The theme of the summit which will hold on Friday 29th and Saturday 30th of March, 2019 is "Discipleship." 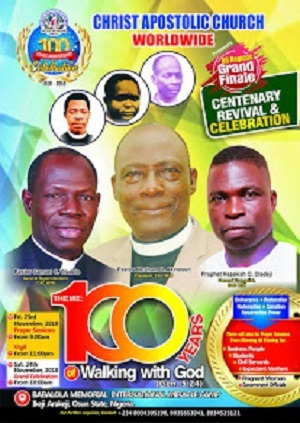 CAC NEWS learnt that the programme will hold at Homewood Suite by Hilton BWI, Airport 1181, Winterson Road, Linthicum Heights, MD.